Elegant silver Maharani scalloped medium hoops. 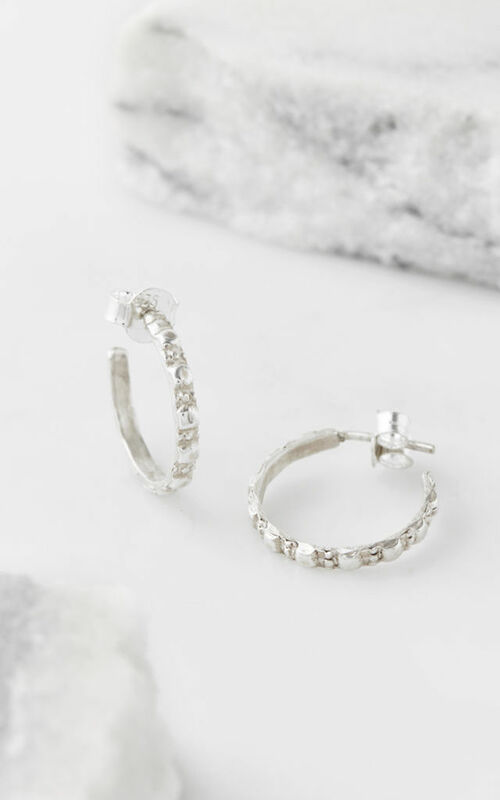 Subtle and stylish, these solid silver handmade hoop earrings are enchanting and eye catching, perfect for those looking for a touch of everyday luxury, helping you manifest your way to good fortune. Wear alone or pair with matching items, the simple yet striking nature of Charlotte's own design make these silver hoop handmade earrings an ideal gift, for those who like to stand out from the crowd.